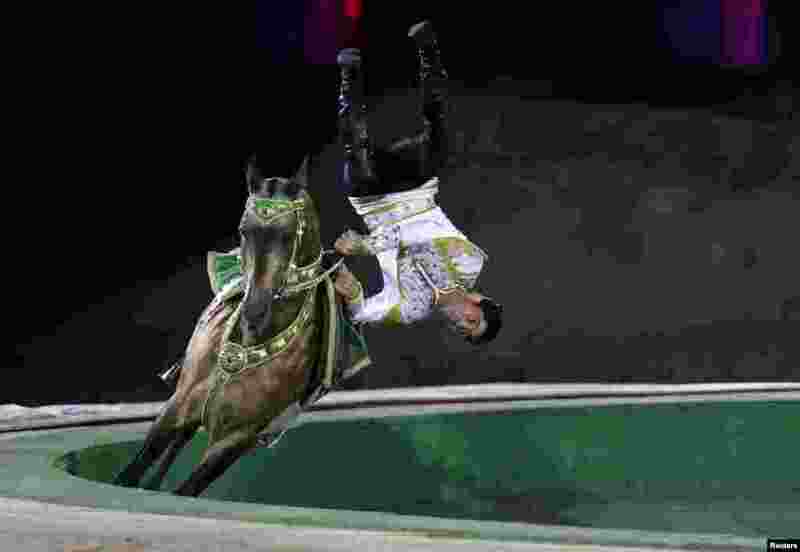 6 A Turkmenistan man performs on a horse during the opening ceremony of 2014 International Akhal-Take Horses Association Special Conference and China Horse Culture Festival at Forbidden City, in Beijing, May 12, 2014. 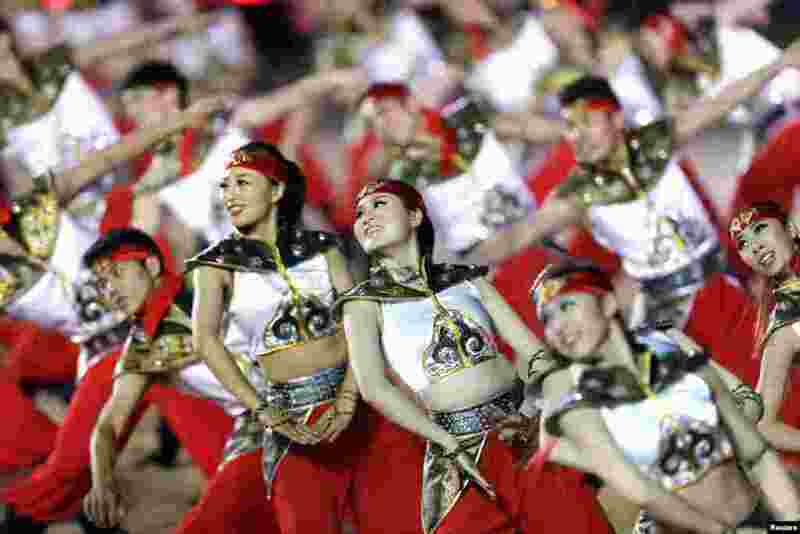 7 Chinese dancers perform for the opening ceremony of 2014 International Akhal-Take Horses Association Special Conference and China Horse Culture Festival at Forbidden City, in Beijing, May 12, 2014. 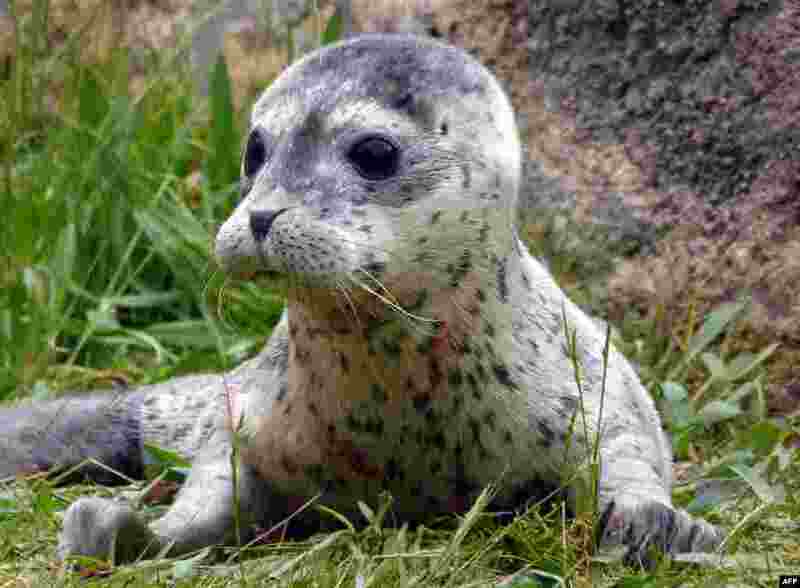 8 A handout picture released by the Boudewijn Seapark Animal Park on May 12, 2014 shows newborn baby seal Conchita at the Boudewijn Seapark in Brugges.